Velcro sandals? Floral diaper bags? Shapeless jeans? Hold up! No, not you two. You are not going down that route! Do not throw all inhibitions out the door! The New School Family is all about keeping things under control, even with a little tot around. Dressing for comfort - It's the key to rocking a look, and not letting an idealized version of a look rock you. Heels and oxfords? Let's save that for another occasion. 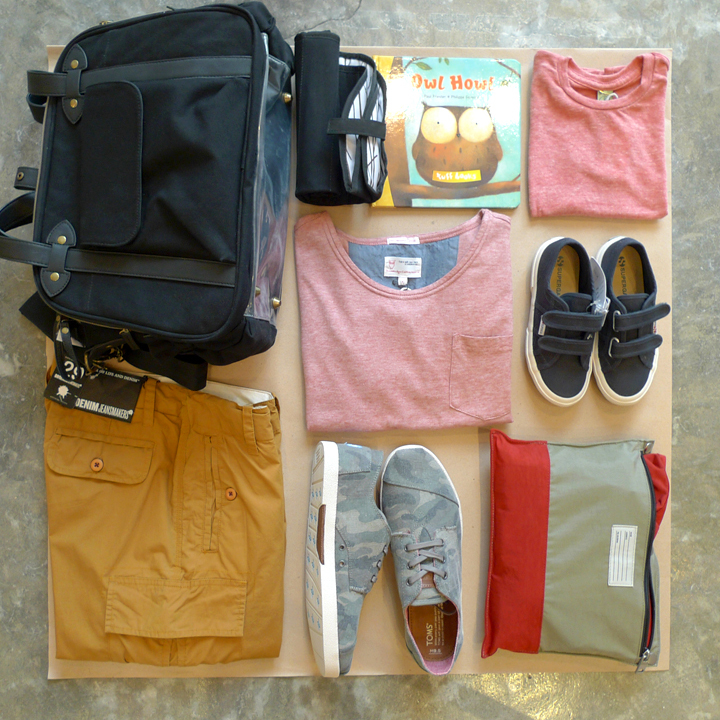 Mum and Dad have got places to go now, and comfy sneakers keeps the family happy the entire day. Who says mums can't wear Chukkas? This new momma is one cool chick and she knows it. 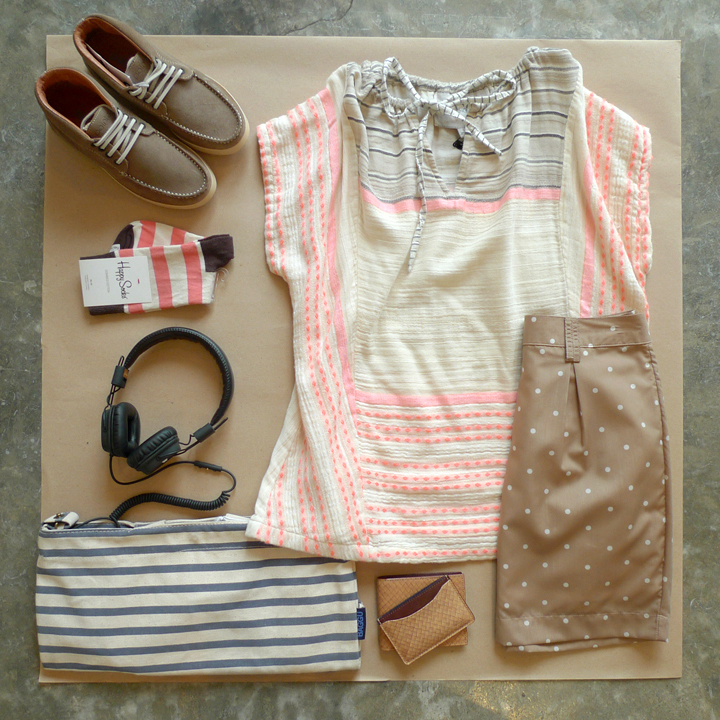 Pair prints (Ace&Jig Turnaround Top in Mango) with prints (Rockstar x Al&Alicia Polka Dot Skirt), and top it off with rugged leather Chukkas (Pointer's Caz in Mushroom). Keep it unfussy with a casual Baggu Duck Bag (sailor stripe) & Jack Spade Leather accessories, and don't forget to throw in your Marshall Major Headphones for good measure. He is a dad who rocks a diaper bag like no other. This cool pappy keeps things unfussy in a Knowledge Cotton Thin Stripe Tee and Dr Denim berms, and his son matchy matchy in a soft Alternative Apparel Toddler T-shirt. He rocks a Paseo (in camou) from TOMS - the latest style that still packs the do-good factor of a regular TOMS, but out-lives them with a thicker rubber sole. Strappy baby Supergas allows easy slipping on-and-off, and all that mess is mysteriously hidden in a SoYoung Charlie Diaper Bag (specially designed with dads in mind! ).